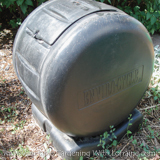 First off, it is important to distinguish between organic fertilizer and compost. They are not the same thing, though both are necessary in a healthy garden because they do different things and work synergistically. Organic fertilizer provides the mineral nutrients that all plants need to grow. Different fertilizers come from different natural sources and provide different specific nutrients. The concentrations of minerals they contain are generally lower and slower-releasing than those in chemical fertilizers, but they do not hurt the soil, destroy microbes, pollute the groundwater, or kill earthworms like some chemical fertilizers do. Compost provides the organic matter necessary for soil structure, water-and-air holding capacity, and for binding some of the fertilizer nutrients in the soil to prevent them from washing away. Compost also provides critical microbes, which are necessary for making the mineral nutrients available to the plants. It may also contribute some minerals, but as I describe below, not nearly as many as it used to. This article explains why fertilizers are necessary and shows how to figure out what and how much you need. It covers soil sampling and testing, how to translate a soil test into which fertilizers are needed (which is not as obvious as you might think), and what you can do if you don’t want to do a soil test. If you just want to jump straight down to the action steps, choose one of the link boxes below. We take minerals out of the soil every time we harvest vegetables (or dumpster grass clippings, or rake up leaves). To maintain soil fertility we need to replace the minerals that are removed. Plants can occasionally get a bit of nitrogen from the air if there is a thunderstorm, but basically, all the 13 minerals that are required for complete plant nutrition must be present in the soil to grow healthy plants that are flavorful and nutritious. Properly fertilized plants are also more resistant to pests and diseases. Scientists now believe there are more like 56 different elements necessary for the healthy growth of cells, and these elements must come to us though the plants we eat, and therefore from the soil. If the minerals aren't there, our cells cannot reproduce in a healthy way. Long before deficiencies create visible symptoms like these, however, the nutrition contained in the plants may have declined, sometimes dramatically. This is an emerging problem that affects not only our gardens, but agriculture everywhere. The vitamins and minerals in food are made using the minerals from the soil. If minerals are missing from the soil, they will be missing in the food. The food we buy at the store, even if it is organically grown (! ), now has a fraction of the nutrition in it compared to what our grandparents ate. In commercial agriculture, chemical and organic farmers alike are now facing a dilemma. Their farms are their livelihoods, and they must be run as businesses. In order to make a living, farmers use only enough fertilizer to reach maximum yield. But it takes a lot more fertilizer than that to reach maximum nutrition, and farmers cannot afford to add the extra fertilizer needed to bring the nutrition up, when doing so does not bring them any more income. As gardeners, it’s important for us to realize that this decline also means that the raw ingredients that go into making compost - food scraps, garden waste, animal manure, etc. - also have fewer minerals now. Compost alone is no longer sufficient to replace the minerals lacking in the soil. Once we learn how to properly remineralize our garden soil we can grow food at home that is far superior to anything that can be bought anywhere. Using organic fertilizer for maximum nutrition in the garden is more complex than adding a bit of blood or bone meal now and then and calling it good. It’s even more complex than adding the nutrients that appear to be deficient based on a soil test! For plants to be able to take up the different minerals in the soil, those minerals need to be present within certain ratios to one another, and be within certain tolerance ranges. This is more complex than a straight-up “ideal” fertilizer blend. If you add too much of one mineral, it can skew the balance, change the pH, and prevent other minerals, that are actually present in adequate amounts, from being absorbed. Home soil test kits are not very accurate, and only measure nitrogen, phosphorus and potassium, the three major nutrients (plus sometimes pH). It is also very important to know what your secondary and micronutrient levels are as well, especially calcium and magnesium. Because of the balance required, the relative amounts of the secondary nutrients can determine whether or not the other nutrients (phosphorus, potassium and micronutrients) are available to the plants. While I don’t recommend using a home soil test kit, if you are determined to use one, the most accurate ones are made by LaMotte. It is far better to send your soil sample to a professional lab, where you will get a full report including pH, nitrogen, potassium, phosphorus, calcium, magnesium, sulfur and the some of the essential micronutrients. In order to accurately translate your soil test results into an ideal fertilizer “prescription”, you can use either an online fertilizer computation program or manual calculation forms (I’ll get to that in a bit), but for them to work properly you must use a soil testing lab that uses a Mehlich 3 extractant. Use one of the labs listed below, or find your own, but be sure they use Mehlich 3 extractant or the calculations will be off. The labs below charge about $20. for a soil test. (The last time I checked, my state extension office was charging $32, and they didn’t use Mehlich 3). For instructions, go to the soil sample article. The method I’m recommending here is distilled from Steve Solomon’s excellent book The Intelligent Gardener. I have provided the minimum information needed to achieve the goal of remineralizing the soil to grow nutrient-dense vegetables, but there are a lot of subtleties to it, so for a deeper understanding of the whys, hows, and exceptions, I highly recommend buying and studying his book. There are two ways to translate your soil test results into a custom organic fertilizer prescription for your soil. You just enter your values and it brings you back a report of what you need to add to bring your soil back into balance, with the optimal ratios of secondary nutrients. under the right column heading “Resources > Soil Analysis: Steve Solomon’s Worksheets”. This is not a simple or quick calculation, because you have to understand a bit before you can accurately fill in the worksheets, but I honestly found the whole process to be quite fun, and it made me really appreciate my garden soil. Remineralizing depleted soil is a gift to ourselves and the future. 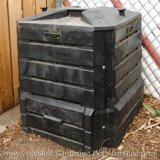 Be sure to add your ¼” of compost annually too. If your soil test shows less than 5% organic matter, add ½” per year until it reaches 5%. Another way to use your soil test results is to read the next section, and tweak the Complete Organic Fertilizer recipe by adding any micronutrients that may be deficient. Buy a pre-mixed organic fertilizer blend such as Dr. Earth or Happy Frog, which are available at better nurseries and garden centers, or from Peaceful Valley Farm Supply. Mix up some of Steve Solomon’s “Complete Organic Fertilizer”, a blend that will provide your plants with the basic nutrients and should not worsen any soil imbalances you may already have (though it won’t correct those imbalances, either). This recipe also comes from Steve’s book, The Intelligent Gardener. Depending on where you live, the ingredients may be easy or hard to find, though you can always purchase them online from Peaceful Valley Farm Supply. Wear a mask, and mix all these ingredients together in a large bucket. You can pour the ingredients back and forth between two clean buckets, or mix them up with a pry bar, but get them as evenly blended as you can. Here’s how I apply fertilizer. I divvy my garden up into equal-sized plots (beds, actually), and then divvy up the big bucket of fertilizer into the same number of smaller buckets. I carefully spread the fertilizer by hand as evenly as I can over the each bed, and then gently fork it into the top 6” of soil. Some say to just rake it into the surface and then let the microbes do the rest. In addition to the above organic fertilizer blend, you must add about ¼” layer of really well-broken-down compost to your soil every year. Compost is not just a good idea, it is really crucial in the soil. When organic matter (ie, compost) is completely broken down, it becomes humus, which has some very unique qualities. Humus actually binds calcium, magnesium, potassium and other positive ion nutrients in the soil, preventing them from washing away (bits of clay in the soil do the same thing). It also has a unique ability to hold onto anion nutrients, too. The other critically important thing that compost provides is microorganisms, including good bacteria, fungi, and actinomycetes. These “critters” each have a crucial role to play in the natural ecosystem that cycles nutrients through the soil and makes them available to the plants. If you really want to boost the effectiveness of your organic fertilizer, use a bit of your your best compost to make a special brew called “actively aerated compost tea”, or AACT. Brewing this “tea” under the right conditions explodes the population of important microorganisms. You can then sprinkle or spray it on the garden to improve soil structure and nutrient availability. It even helps suppress powdery mildew and other fungal diseases!